Megan is a screenwriter and children’s book author based in Stockholm, Sweden. She was born in Ohio, USA. Megan is currently developing and co-writing a Sci-Fi TV series for Spark TV Sweden and an original concept Sci-Fi TV series with Atmo Sweden. She has a feature adaptation in development with PotBoiler productions UK. Her first children’s book, ‘Banned from the Zoo’ will be published with Rabén & Sjögren/Norstedt’s publishing Sweden in September 2017. Megan has produced the dance documentary short ‘Behind the Scenes:The Filming of Bye’. This featurette offers a glimpse into the making of the TV version of ‘Bye’, by the choreographer Mats Ek and dancer Sylvie Guillem. 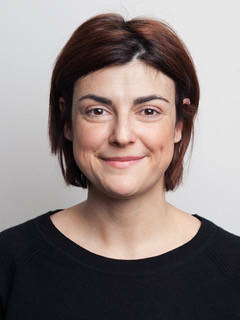 She has previously worked in development for Fastnet Pictures in Dublin, Ireland. Megan got her start in advertising at DDB Worldwide in NYC and Peter Owens DDB Dublin, Ireland. While at Peter Owens as a Copy Writer, she was awarded for work in TV and print for clients such as Carlsberg and Volkswagen.